Whether it's financial services such as FOCUS reporting, FINRA Compliance, FINRA registration, branch office auditing or starting a new broker dealer, we promise to take the time to get to know you and your business, clearly understand your goals and objectives, and invest ourselves completely in the achievement of those goals with you. 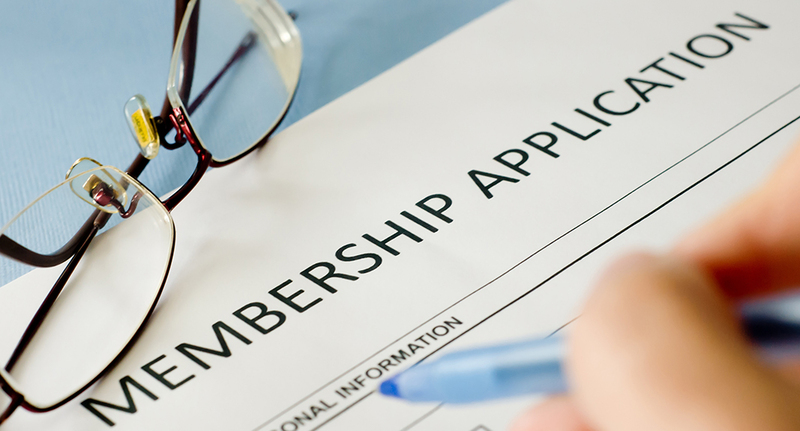 Starting a new Broker/Dealer can seem like an overwhelming task. Our experienced consultants can perform the majority of the workload for you. If you have a Change in Ownership or a Material Change in Business Operations, you must file for approval with FINRA, pursuant to rule 1017. Outsourcing your FINOP Services allows you to focus on your core business, and ensures accuracy and compliance in your financial department. 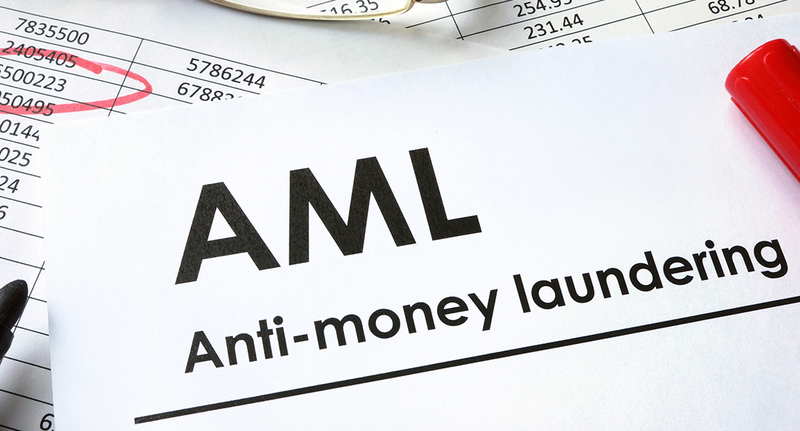 The USA PATRIOT Act of 2001 requires that all securities firms establish an AML Compliance Program to prevent and detect the act of money laundering. Finding the time to read and analyze all the information your firm receives from regulatory agencies can be challenging. We can help! Brokerage Consulting Group offers complete Website development, email marketing and online marketing services. And more! 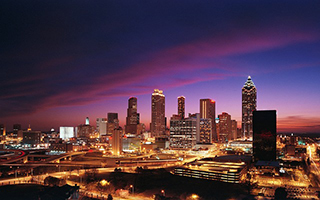 The Brokerage Consulting Group provides consulting and services to the broker/dealer industry. Brokerage Consulting Group provides broker/dealer start-up services, FINRA registration, FINOP services, web site development, and a variety of other services. Brokerage Consulting Group is a team of professional consultants offering financial services such as FOCUS reporting, branch office auditing and starting a new broker dealer. We customize our plan and approach to each client to meet their unique and specific needs. 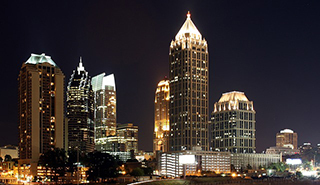 Regardless of your needs, be they small or large, Brokerage Consulting Group can help. If you would like to speak with one of our professional consultants about any of your needs, please call or email us today! 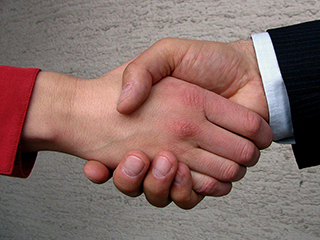 Our goal at Brokerage Consulting Group is more than just excellent service, it's relationship building. 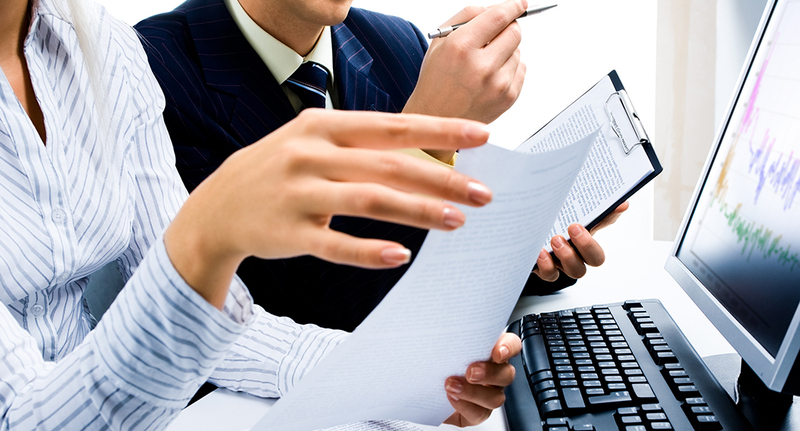 We take a personal interest in your business and measure our performance by your success. Our "hands-on" approach allows us to build lasting and meaningful relationships with every client. Our goal is to get to know you and your specific needs. 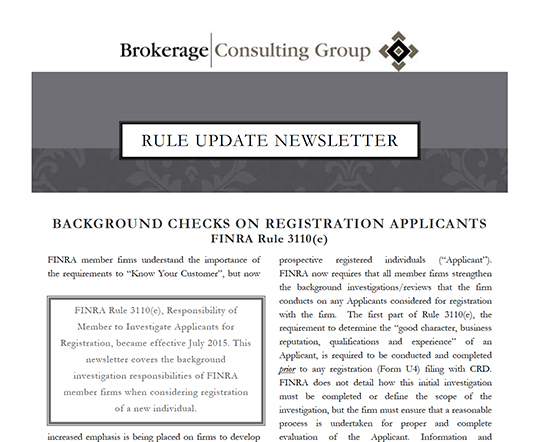 FINRA member firms understand the importance of the requirements to "Know Your Customer", but now increased emphasis is being placed on firms to develop and enforce procedures to also truly know the firm's prospective registered individuals ("Applicant"). 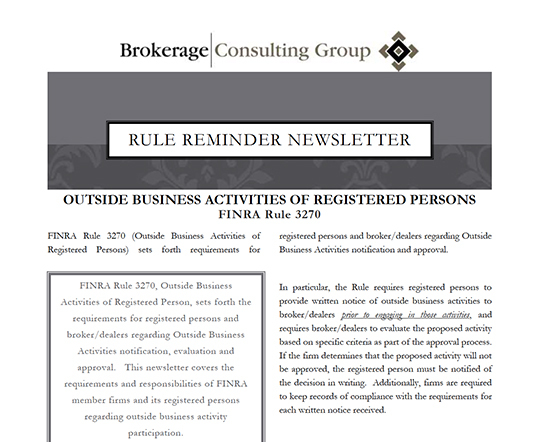 FINRA Rule 3270 (Outside Business Activities of Registered Persons) sets forth requirements for registered persons and broker/dealers regarding Outside Business Activities notification and approval. Some great links you may find helpful.